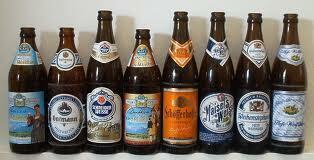 Beer giants under investigation in Germany. Not too big to sue. Several of the world’s biggest brewers are under investigation in Germany having been accused of price fixing and could pay millions in fines. German magazine Focus, recently accused Carlsberg, AB InBev, SABMiller, Warsteiner, Oetker, Erdinger, Bitburger and Krombacher of fixing the prices of 24 beer brands including Beck’s, Holsten and Warsteiner. Apparently the brands have been under investigation by the German Federal Cartel Office (Bundeskartellamt) since August 2011.